Although some people associate food additives with preservatives and ingredients that are generally unhealthy for us, food additives cover a range of ingredients, some that can be beneficial to our health as well. 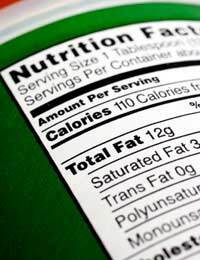 Food additives are added to food for a variety of reasons, such as to improve the appearance or the flavour of foods. Some additives are far from new – such as vinegar. But modern technology has meant that new food additives include synthetic additives to improve our foods. There has been controversy around the effects of food additives and their safety. However, each country has its own regulations and approval processes for food additives, which are in place to keep our foods and our health safe. There have been reports of digestive problems from food additives, although this isn't always indicative of an additive being 'unsafe' as such. Some people will experience gastrointestinal upset such as cramping or diarrhoea but since these do not occur in all people who consume a food with that additive, it's not a case of the additive simply being removed from foods due to those individual reactions. In fact, even a 'natural' additive can be harmful if used in excessive quantities. A good example of this would be salt, which is added to large numbers of foods for both preservation qualities and taste enhancement. Too much salt can leave your tummy upset and have you feeling bloated from the sodium retention as well. Overall though, digestive complaints are still only one health complaint from food additives. Others include headaches, dizziness and general malaise. If you do suspect that you are experiencing a reaction to a food additive, it's wise to stop eating the food in question and speak to your doctor about allergy and sensitivity testing. Prebiotics and probiotics are considered food additives in the sense of them being part of 'functional' foods, where they have shown in scientific studies to enhance some aspect of health. In the case of prebiotics and probiotics, these are the friendly, helpful bacteria that aid in digestion and tend to have benefits in people rather than causing problems. You can find prebiotic and probiotic enhanced yogurts at most supermarkets although you may still want to read labels and keep your eye on the sugar content as well if you're particularly health-minded. Those with health conditions of the gut can have unpredictable responses to prebiotics and probiotics so you may need to use care. Just as some people with conditions such as irritable bowel syndrome benefit from these additives, others can find they worsen the condition. Most importantly, you should be reading labels. If you have identified a food additive that causes you stomach upset, then you should ensure you avoid it by reading labels carefully. You would be surprised where additives can turn up, so make it a habit to read labels and shop wisely. Food additives aren't all bad but some do cause gastrointestinal upset in people, so it's smart to read labels and see your doctor if you suspect you're sensitive to a specific food additive. The sooner you can identify the culprit, the sooner you can make positive shopping and dietary changes to keep your digestive system happy and functional.